A video appears to show Aaron Hernandez seemingly stalking victims of a Boston double murder, newly released documents allege. Newly released court documents provide the first formal evidence linking former New England Patriots star Aaron Hernandez and a close associate to an unsolved 2012 double slaying in Boston’s South End. A 14-page search warrant affidavit, filed earlier this week in Connecticut, shows that police believe they have evidence that proves Hernandez was driving the silver sport utility vehicle from which the gunman allegedly fired in the 2012 shooting. Investigators say video evidence shows Hernandez at the wheel as the vehicle circles the block, seemingly waiting for the victims to get to their car after leaving a nightclub. The court documents do not indicate who police believe pulled the trigger. The documents, first reported by the Hartford Courant, show that police believe there may be a link between the June 20, 2013, slaying of Odin Lloyd, for which Hernandez has been charged with first-degree murder, and the unsolved 2012 slayings. The Globe has previously reported that investigators believe Lloyd may have had information about the 2012 shooting and that his knowledge of that shooting could have been the motive for his slaying. 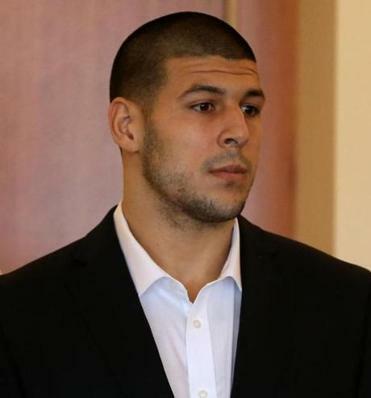 Reached late Wednesday afternoon, a spokesman for Hernandez’s legal team declined to comment on the new details of the investigation into the former player’s alleged involvement in the 2012 crime. According to the search warrant affidavit, just days after Lloyd’s body was found in a North Attleborough industrial park, police received an anonymous tip that Hernandez was probably involved in the unsolved July 2012 killings of Daniel Abreu and Safiro Furtado. The document provides a narrative that details Hernandez’s alleged movements just before the shootings. Video recovered by police shows Hernandez arriving at the Cure nightclub in Boston’s Theater District at 12:04 a.m., driving a 2006 Toyota 4Runner. Additional video shows him entering the Tremont Street club immediately behind the victims, the affidavit said. Hernandez and an accomplice, whom investigators later identified as Alexander Bradley, were caught on videotape during their time in the club. Hernandez spent just 10 minutes inside, downing two drinks before exiting, the document states. The victims did not exit the club until after 2 a.m. At 2:32 a.m., Boston police responded to a report of six shots fired. Witnesses told police that an SUV resembling the one driven that night by Hernandez pulled up next to the vehicle driven by the victims and that one of the SUV’s occupants opened fire. No video depicting the shooting has been recovered. The investigation had gone cold until investigators got the anonymous tip shortly after Lloyd was killed. The tipster, who was later identified as a security supervisor at the Rumor nightclub in Boston, where Lloyd and Hernandez had partied two nights before Lloyd’s slaying, told police that he believed the killings of Lloyd and the two men in the South End were linked. “Someone accidentally spilled the beans in front of me,” the tipster told police, according to the affidavit. Law enforcement officials have refused to discuss whether Hernandez and Bradley are being investigated in the 2012 slayings. Citing law enforcement sources, the Globe has reported that Hernandez is the subject of the current investigation, and that a Suffolk County grand jury had convened to hear evidence linking Hernandez to the crimes. The grand jury has yet to vote on whether to indict.The Globe has also previously reported that police believe Bradley has information about the 2012 homicides. Police recovered the SUV believed to have been driven in the 2012 slayings from a Bristol, Conn., home owned by Hernandez’s uncle. They have also recovered the murder weapon, a .38-caliber pistol.Police have not said whether the weapon has been tied to Hernandez. Investigators have filed a search warrant to obtain recordings of jailhouse phone calls made by Bradley, who has been imprisoned since skipping out on a grand jury subpoena, in which he allegedly discusses details of the 2012 shooting. Bradley’s lawyers could not be reached for comment.